Phoebe Block Barn Quilt Antique Christmas Stitch Pattern. Bring your barn quilt inside! Traditional minimalist design. This cross stitch is made with Christmas red and green, with deep pine, mulled wine, and grey accents.*. Christmas is in the air! I can change these colors easily to match your decor. I would also be happy to design you your own barn quilt. Ask me for a custom quote or design. Create this beautiful design for a gift, or keep it for yourself!!! Finished size of pattern: 10.3" wide x 10.3" tall. Pictured framed in a 12" x 12" frame. Quick and easy to stitch and frame for a finished look. 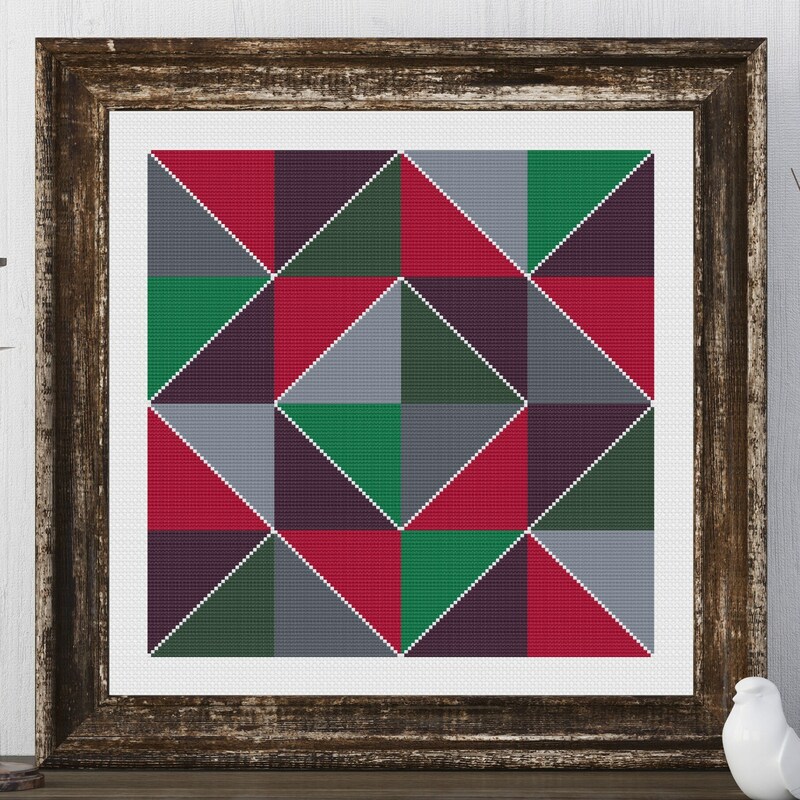 Be sure to check out all of my Barn Quilt patterns! New ones being designed all the time! Give as a gift or keep it for yourself!